Today I was sitting in the manor house kitchen, sipping yannoh and chatting, when Andy came in. “Hey Gracie,” he says, ” I’ve just read your blog.” ” Is it all correct?” asks Mum, ” I mean all of the facts and figures?” ” Well,” Andy answers ” I’ve made a few notes of things you could change, add or include. Do you wanna come up to the office now? We could discuss it, you can make some notes of your own”. ” Sure.” I reply and I follow him up the creaky wooden staircase to what all of us call the ‘Top Office’. 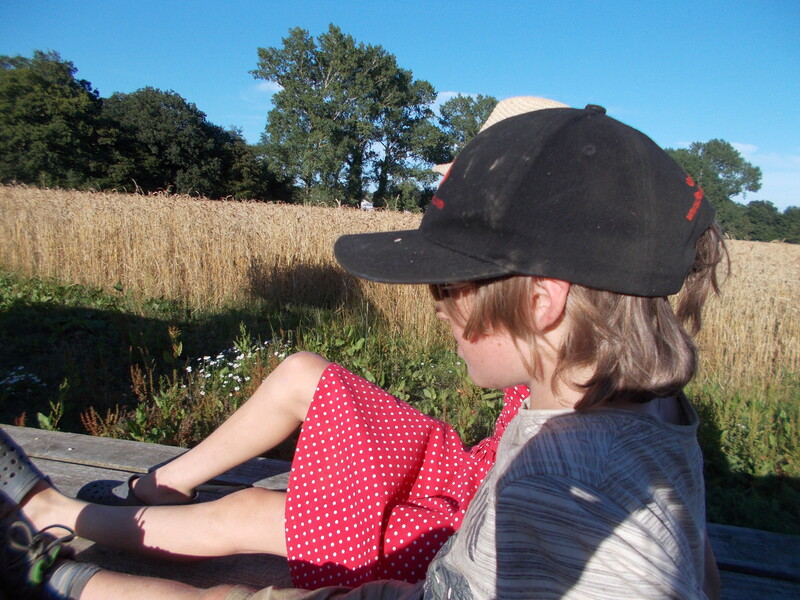 The next hour or so was spent in a comfy chair, with a view out onto the wheat field, discussing extra information concerning wheat, illnesses, spelling mistakes, varieties, questions and so on. I learned a lot in this short period of time, these are the main points that Andy talked about. 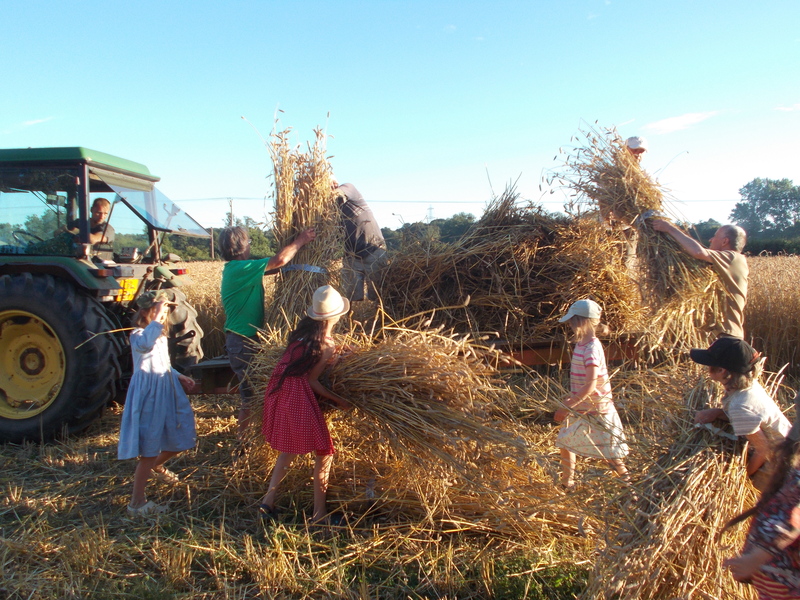 Now for Summer Harvest! Part 2. 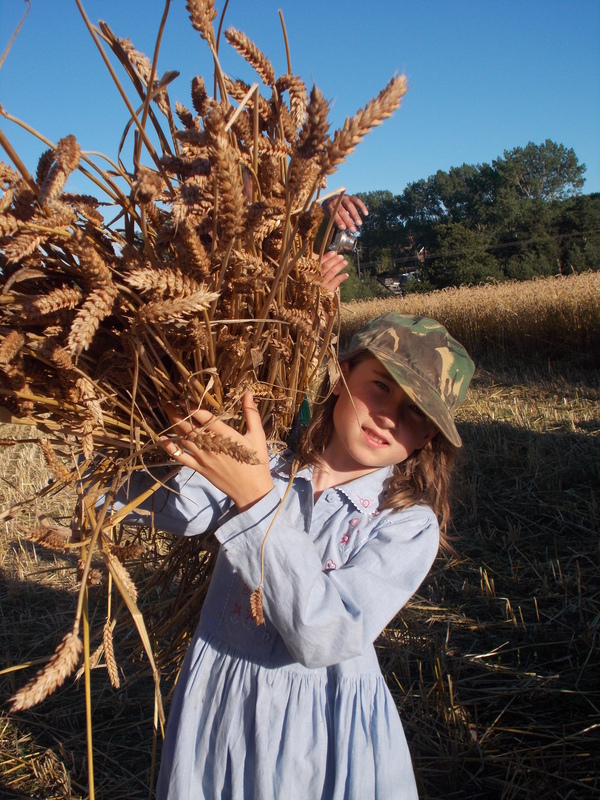 Why Do We Grow Heritage Wheat? 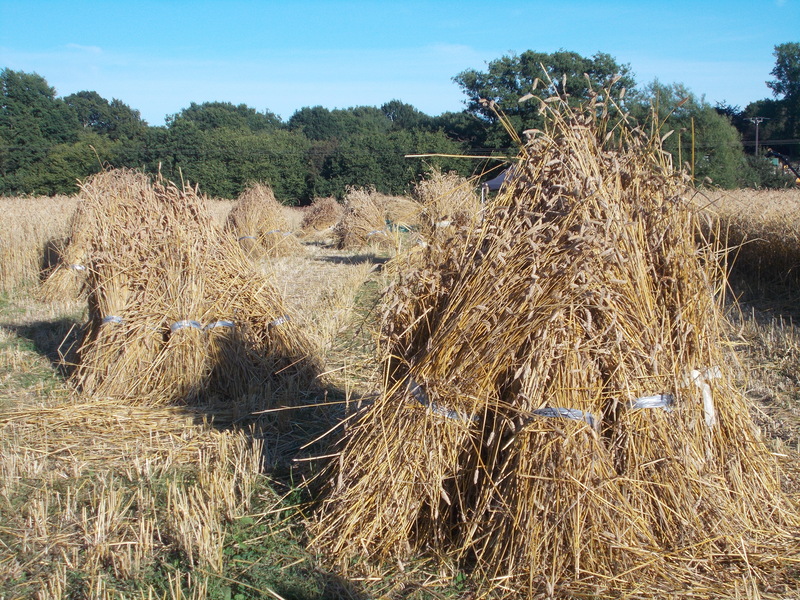 Heritage wheat is taller than modern wheat. 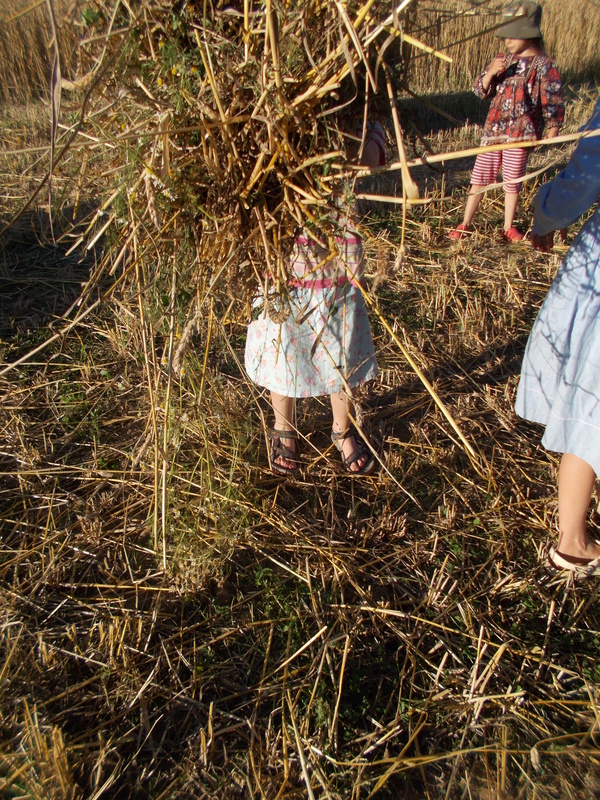 The reason why our ancestors grew tall wheat is because it grew higher than the weeds and so cast a shadow over them. Obviously no plant can live without sunlight, so, simple as, the weeds died. Now farmers want to put chemical fertilizer on, if they put it on the tall varieties of wheat they’d get super huge and topple over. Therefore they have to create a small type of wheat so that when they put the fertilizer on the wheat grows to the right height. But the weeds can grow easily in short wheat, so now what do we do? Easy, we spray the field with weed killer! Ah, but what if you’re an organic farm, like us? Now you’ve covered your wheat field in weed killer,all the weeds are gone. In most fields of modern wheat it’s all the same variety, unlike a lot of heritage wheat where it’s lots of different types. Without the weeds the illness just passes from plant to plant to plant. Whereas if there were weeds the disease would hit one and stop because that species isn’t affected by it. Because all the plants are identical the illness spreads mega fast. So? We can easily spray the plants with fungicides to stop diseases. Oh no! The organic problem has just popped up again. Eeeeeeeeeeek! Here come some pests, ahhhhhhhhhhhh, what can we do? DON’T PANIC, we’ll just put some pesticides on. Grrrr, why does that same old prob keep ruining everything?! So you see how many chemicals and horrible, disgusting, artificial substances are in the bread that you eat? If we all just grew heritage wheat, all these things wouldn’t be needed. Thanks Andy for your advice. 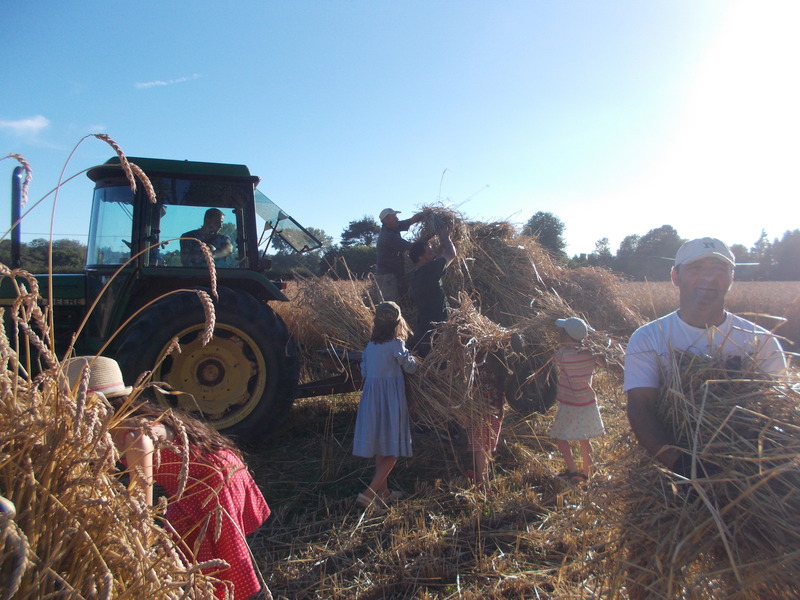 Harvest weekend is here at last! Imagine this: a field of beautifully golden wheat, it’s perfectly ripe and sways gently in the warm, humid, summer breeze. Harvest weekend has finally arrived! 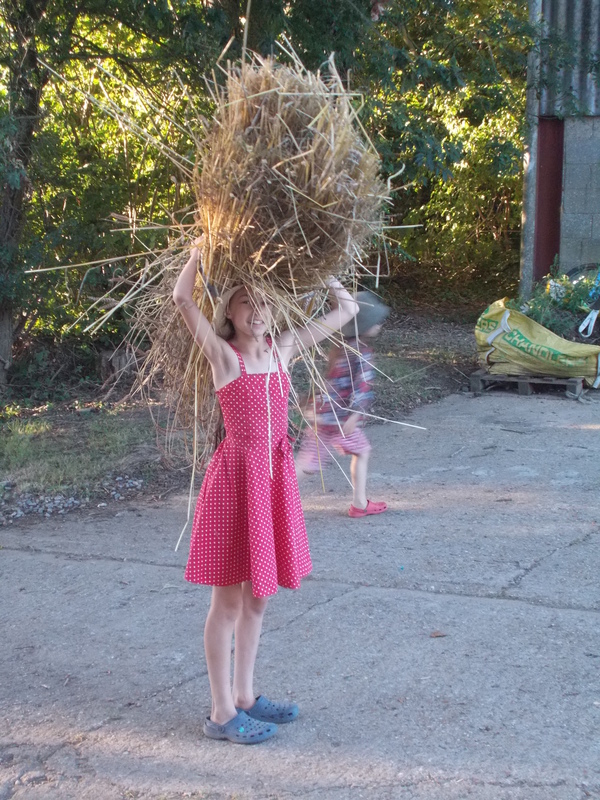 Where I live, on a farm in Sussex, the harvest is a big deal for everyone, men, women and children alike. Everyone has to muck in and pull their weight. 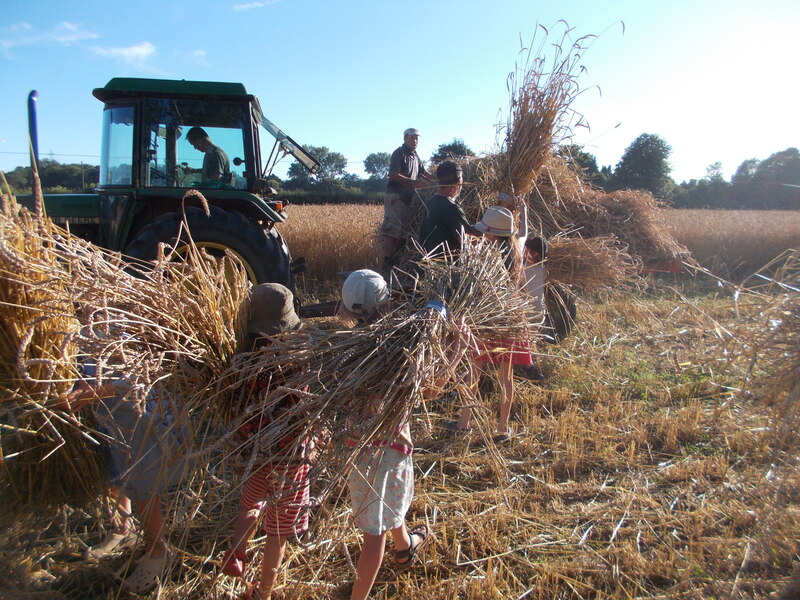 Long ago scythes and sickles were the only means of harvesting, but recently they have been forgotten because of modern technology such as combine harvesters. Not only do combine harvesters do the job in a very short amount of time, they also save a vast quantity of human sweat. 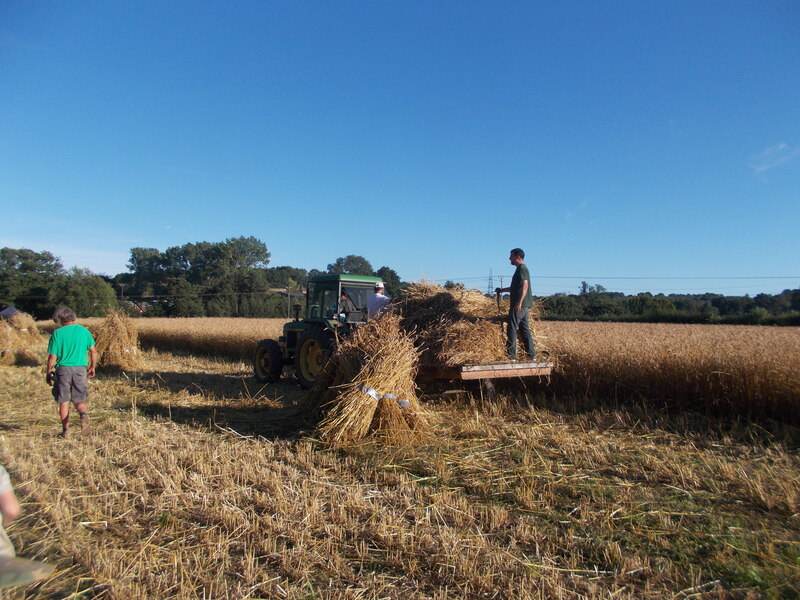 Andy, our chief baker here on the farm, is incredibly knowledgeable about all sorts of grains, baking and the whole process from grain to loaf. 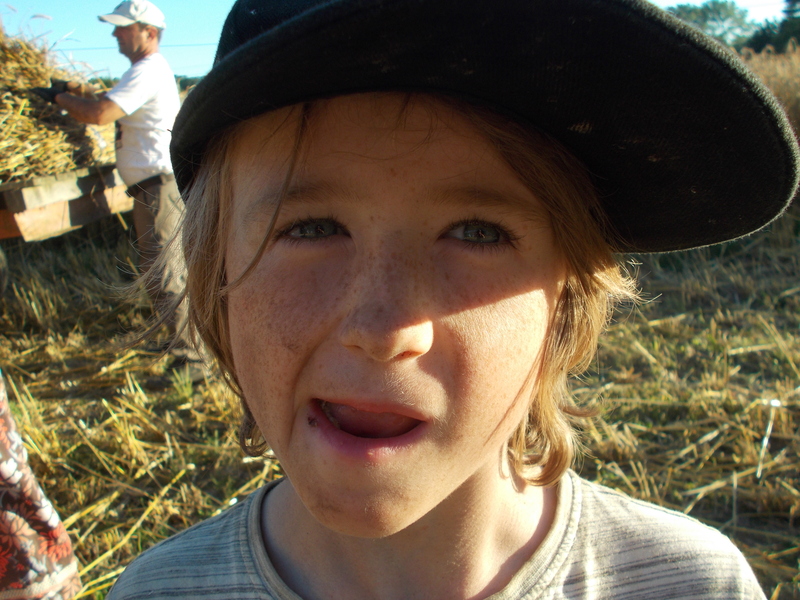 People say that he is one of the most learned people about wheat. 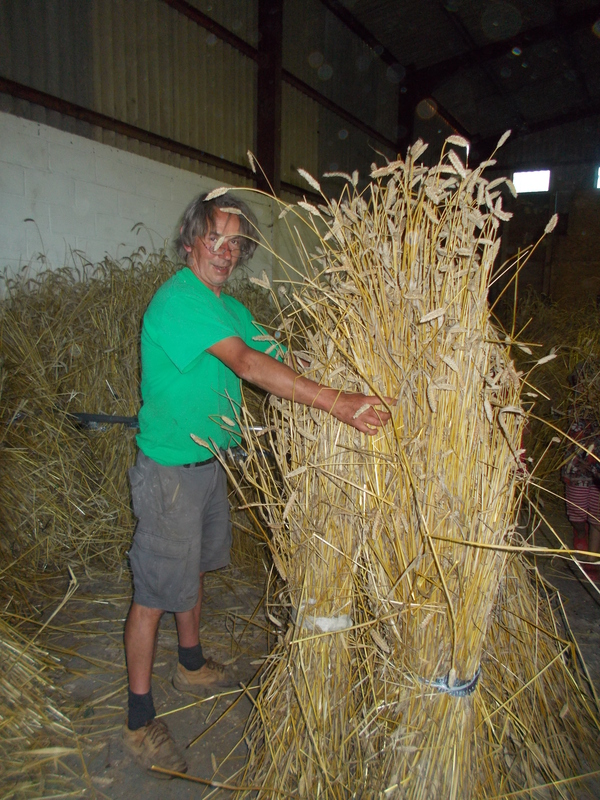 He specialises in something called heritage wheat. Heritage wheat is very old wheat. 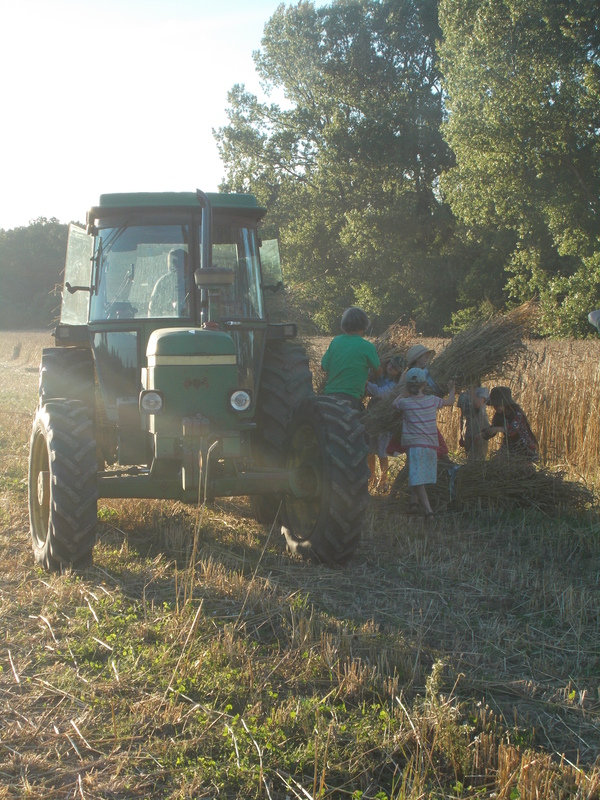 Wheat that you might say is not used by any farmers anymore, except growers of this heritage grain. 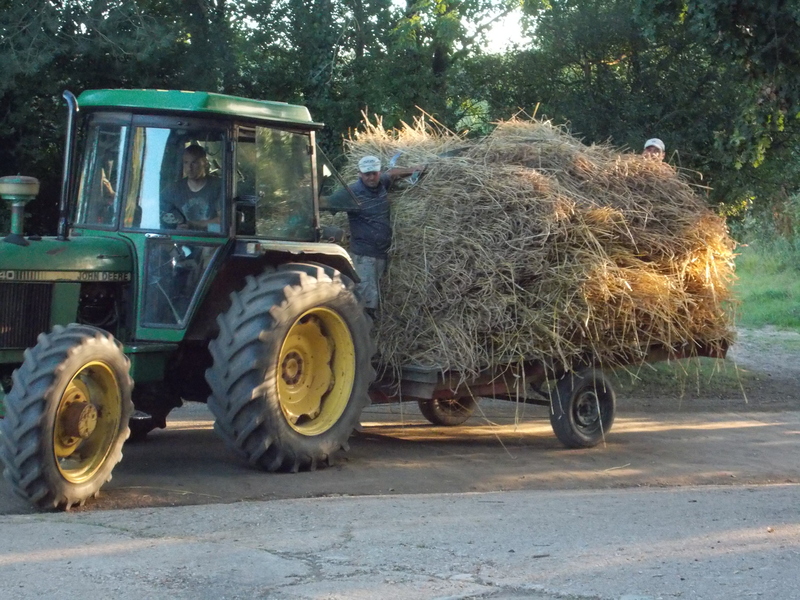 It’s Andy’s passion to reintroduce these old varieties back into use. You may wonder how he gets hold of the grains, well, that’s simple enough. There are two different ways. Number one is a seed bank, there are usually one each country. 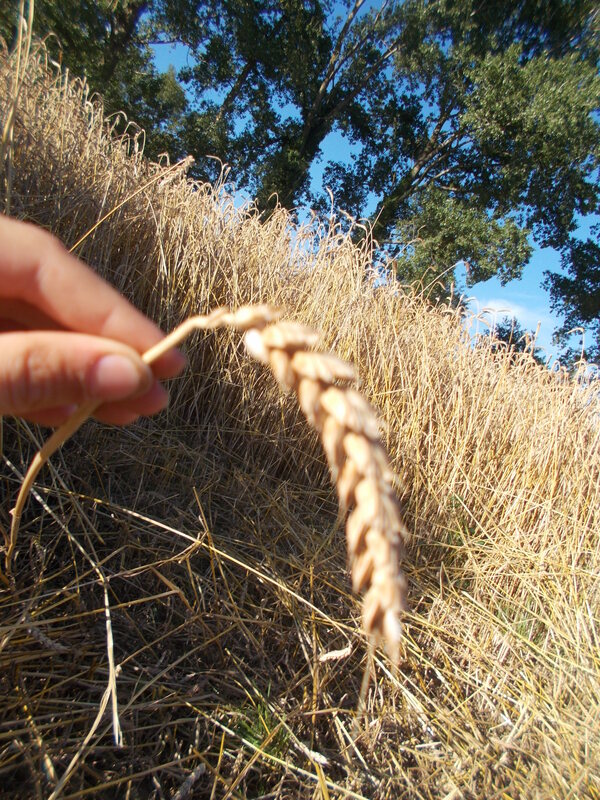 For every type of grain that is ever cultivated, they save about 180g. People can get it from the bank in tiny quantities. Number two is more romantic, but probably less used. 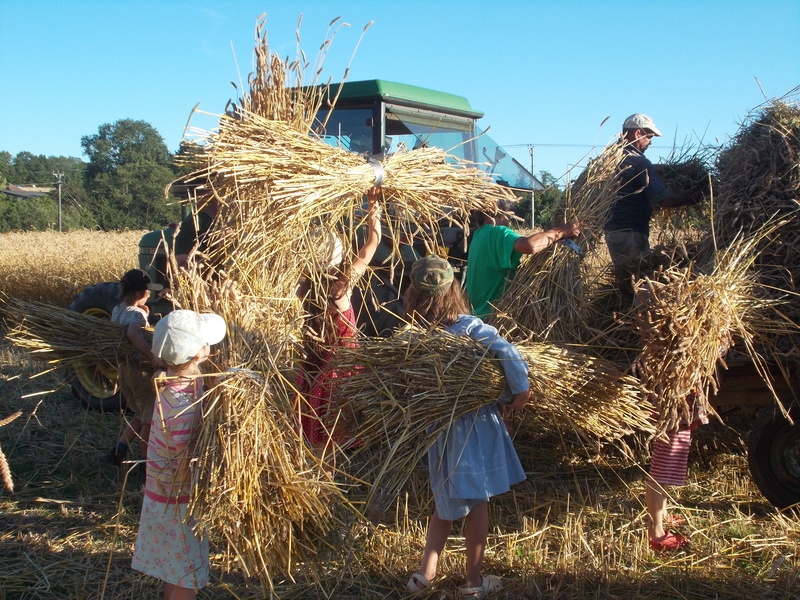 It’s where you visit an old mill and with special permission, take up the floorboards and gather the ancient grains that have fallen through over hundreds of years. The absolute maximum age that you can still grow wheat at is around 40 years old. The main reason why types of wheat get wiped out, is because of illnesses. Most types last 8-9 years before an illness that can take them over forms. Once you have the grains, maybe fifty or so of them, you sow them. 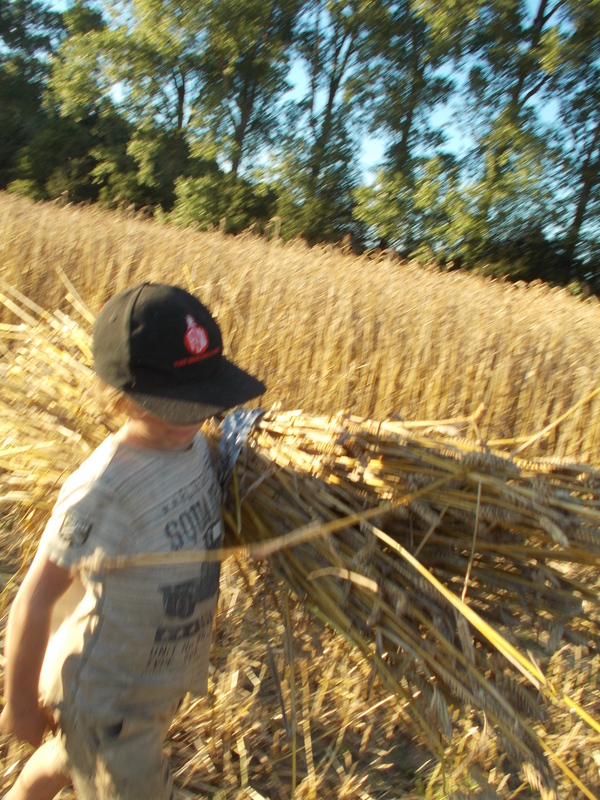 Then when you harvest them, you find that each head has say fifteen grains in it. Again you sow all of these seeds and the numbers keep multiplying. Soon you have a whole field of heritage wheat. 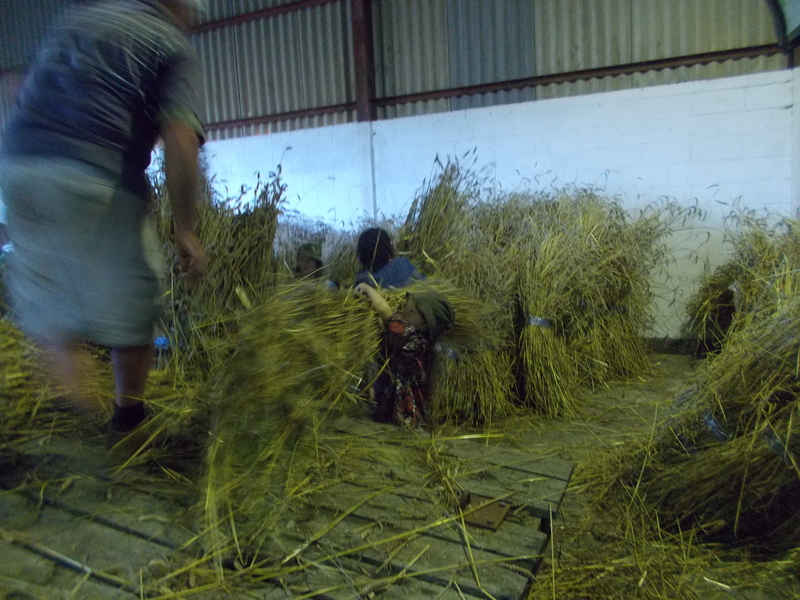 Anyhow, because we were harvesting heritage wheat, it seemed only proper that we did it traditionally. 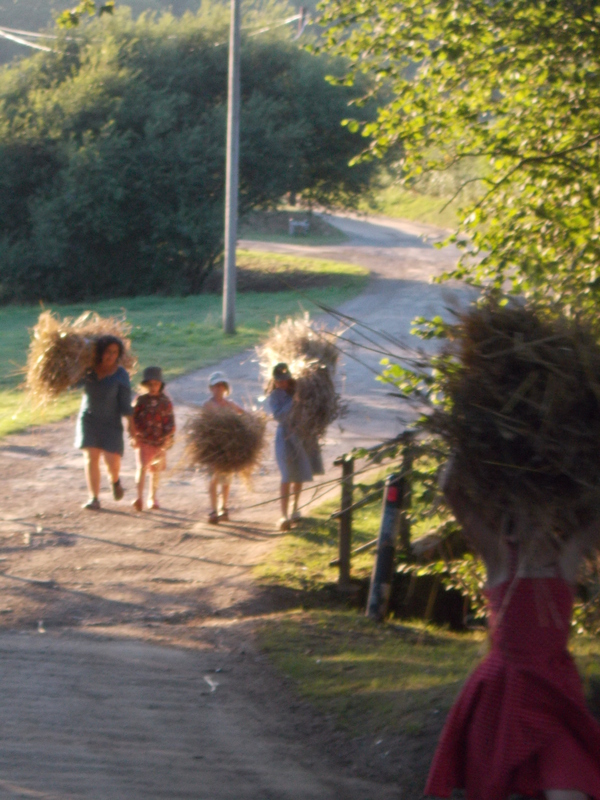 Plus we were all wanting to do it with scythes and sickles. We must get it in before tommorrow, because it is due to rain. Before the harvest Andy worked extremely hard, sowing, reaping, sowing again, reaping once again, he’d been nurturing this wheat for 7 long years. We just came to help with the cherry on the cake. All weekend long us workers harvested, sometimes having breaks to sit in the shade and sip cool icy water or run down to the river and have a refreshing swim. 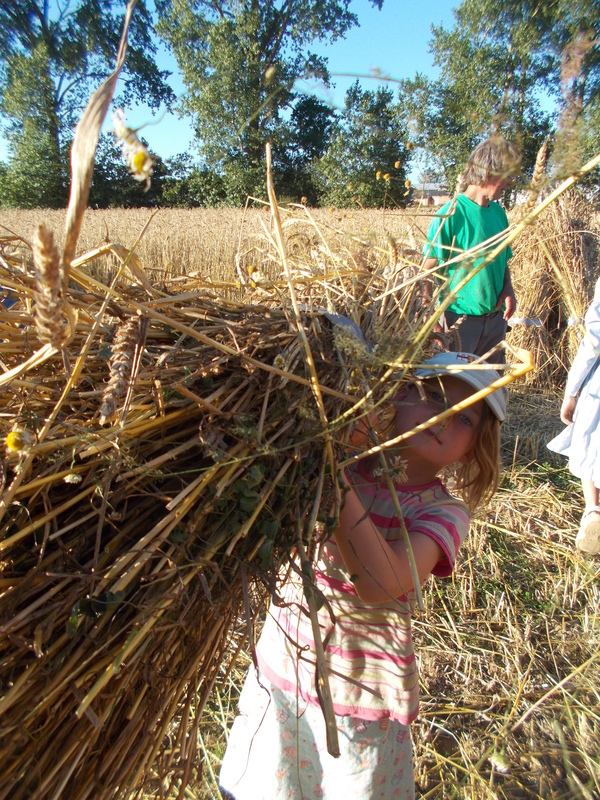 Our wide-brimmed straw hats bobbed among the long yellow stems, as we waded through, collecting the heads of the Orange Devon Blue Rough Chaff, which is dark and furry and leaving the tall, light, velvetty Old Ken Hoary. Us kids would run up to the taps and fill jug after jug of cold water, then pour it into cups with a splash of ginger cordial for the other workers. We’d cut sheaths of a certain type of wheat and tie it with tape, writing its name, whether Welsh Hen Gymro or Chidham Red. 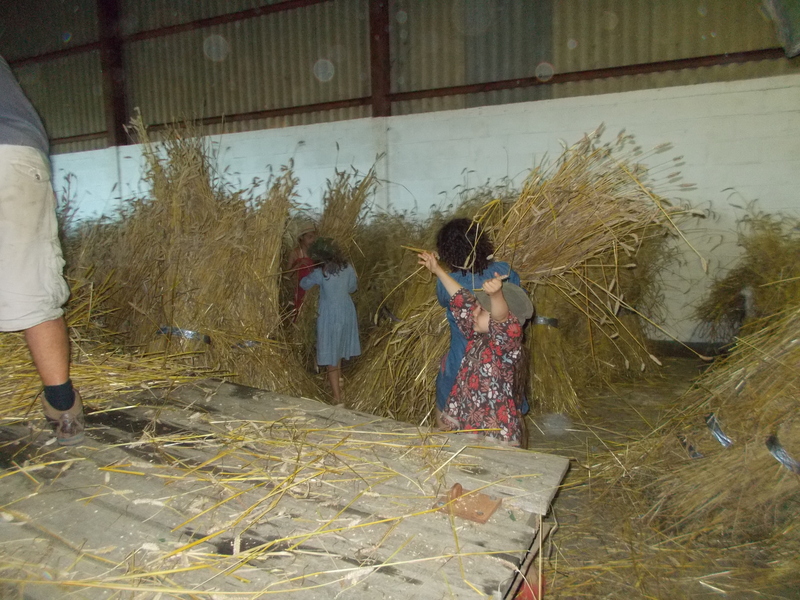 We separated the weed from the wheat, all the while munching on crunchy grains. Each tastes a little different, Old Kent Hoary is slightly spicy, ODBRC is more sweet. 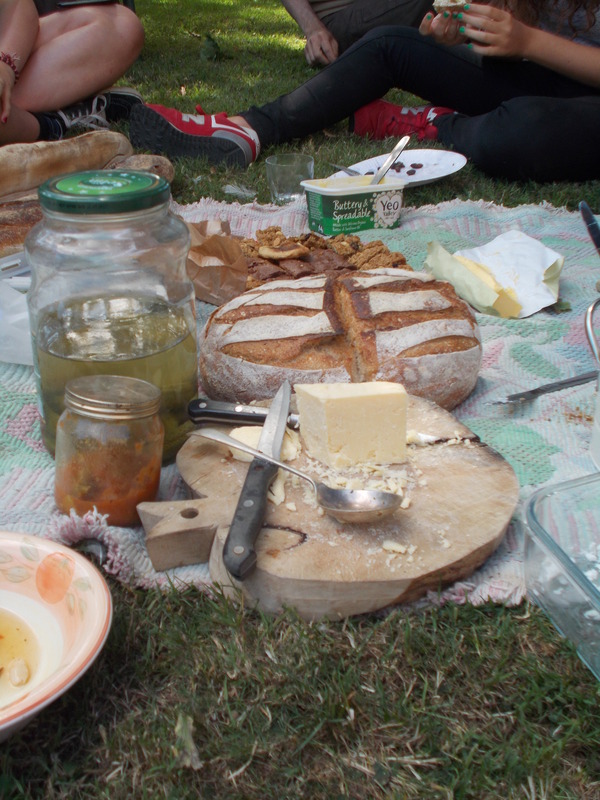 At noon we all walked down to the manor house for a delicious and totally traditional lunch of pickles, cheese and , of course, bread! We all talked pleasantly and discussed the afternoon’s work. The puddings were all made by me, they included flapjacks and rhubarb & plum crumble. In the evening there was music, meat, a campfire and beer. 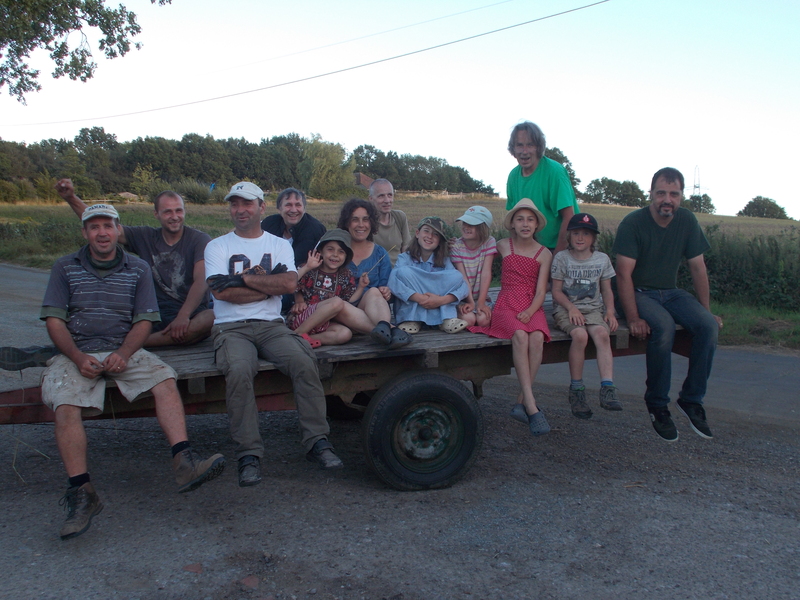 The grand finale of the harvest weekend was when we loaded all of the sheaths onto the tractor trailer and followed it up to the bakery were we unloaded and had a team photo taken on the trailer. 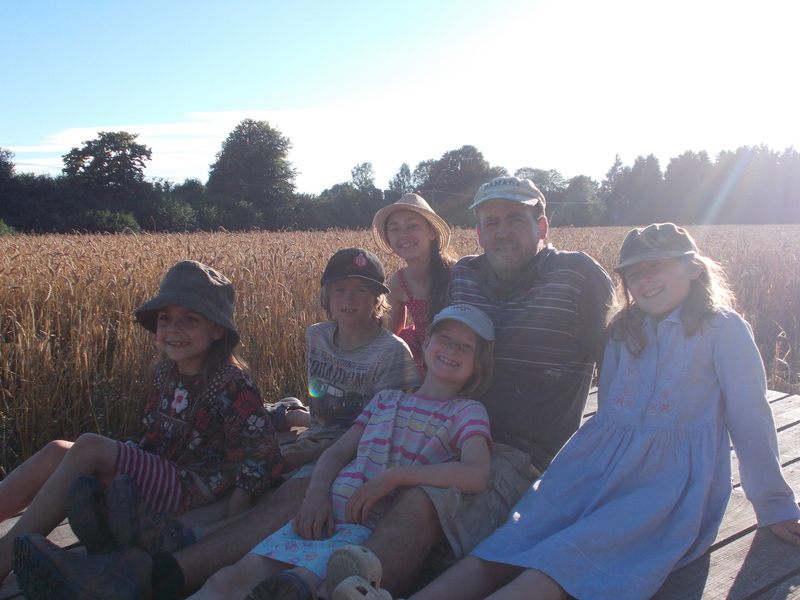 Then we all rode back to the field to do it again! Tiger looks like a proper country girl here! Lulu waiting to catch the sheaf that is about to be thrown down to her. 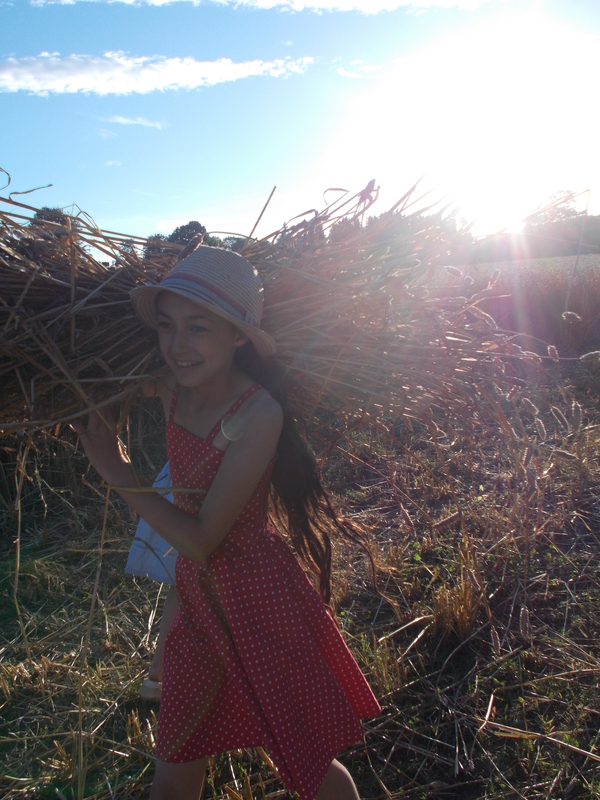 Overall I loved doing the harvest, getting a feel of how it used to be for people in the books I read, like Laura out of Little House on the Prairie, and learning so much. This weekend has been part of my homeschool life education. For the last few days we’ve been staying with nanny and Geoff. 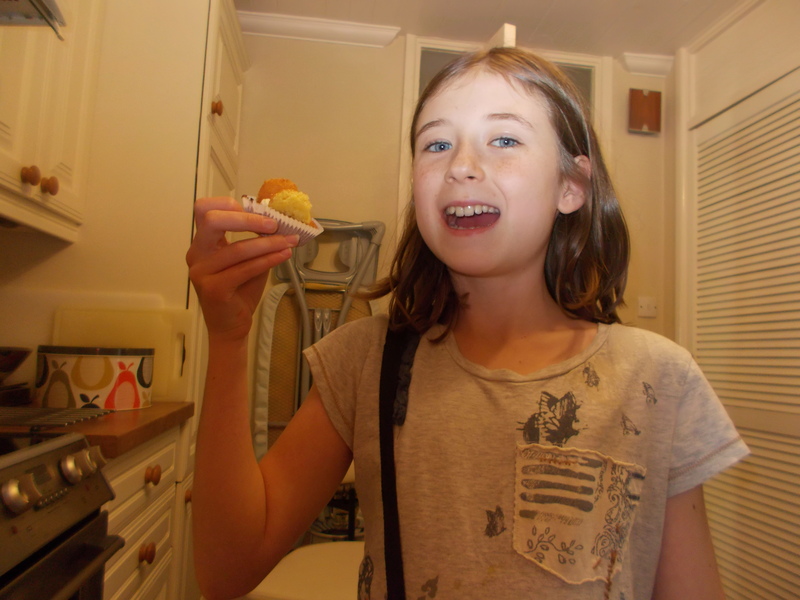 Yesterday we made blue berry muffins and orange butterfly cakes, I tried both, but the butterfly cakes were the best. I thought I’d share the recipe, because they were so delicious. Do try them, they won’t disappoint. The sharp orange curd contrasts with the sweet icing and it makes the perfect match. I’d just like to say thank you to both nanny and Geoff for having us. 1. Pre-heat oven to 180 c / 160 c fan / gas 4. Line a tin with 12 cupcake cases. 2. Measure all ingredients, except orange curd, into a large bowl and beat untill smooth. 3. Bake in oven for 15-20 minutes or until golden brown. 4. When cooked and cool, cut a disc from the top of each cake leaving a little rim around the edge. Cut the discs in half and set them aside. Fill the holes with orange curd. 5. 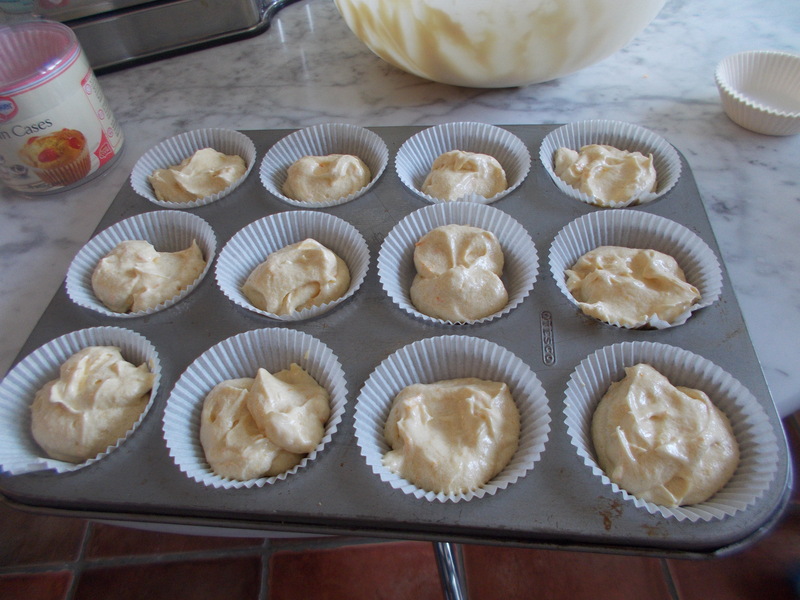 For the icing, beat butter and icing sugar together until smooth. Spoon or pipe a swirl of icing on top of the orange curd. 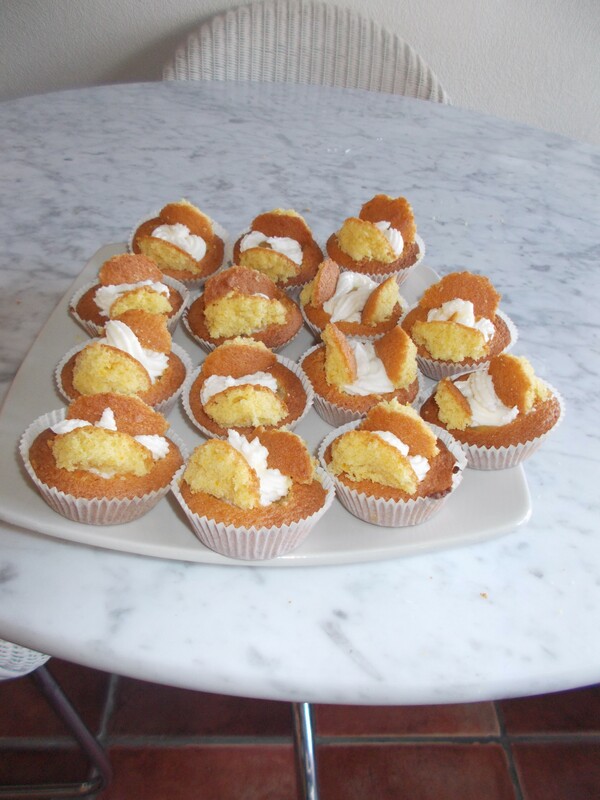 Then place the two cake halves on, to resemble butterfly wings. Dust with icing sugar and enjoy. 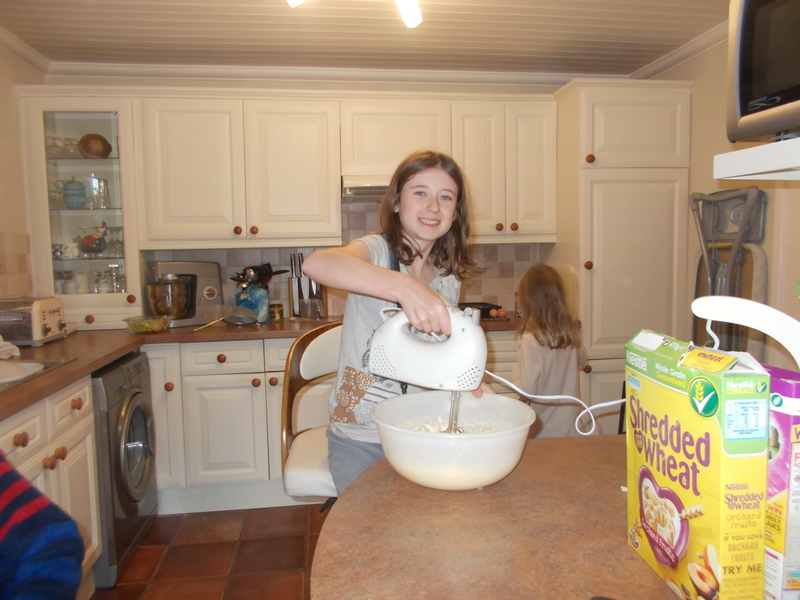 mixing, you can do this with an electric mixer or by hand. 1. 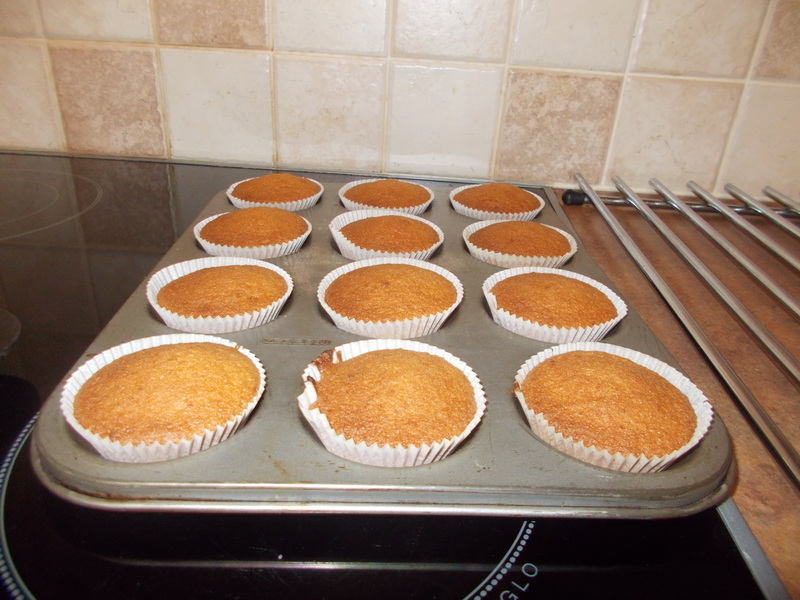 Don’t use muffin cases, they’re too big. 2. Pipe the icing, it looks better and more tidy. 3. Don’t cut too shallow a disc or to deep, you’ll have too much or too little curd. 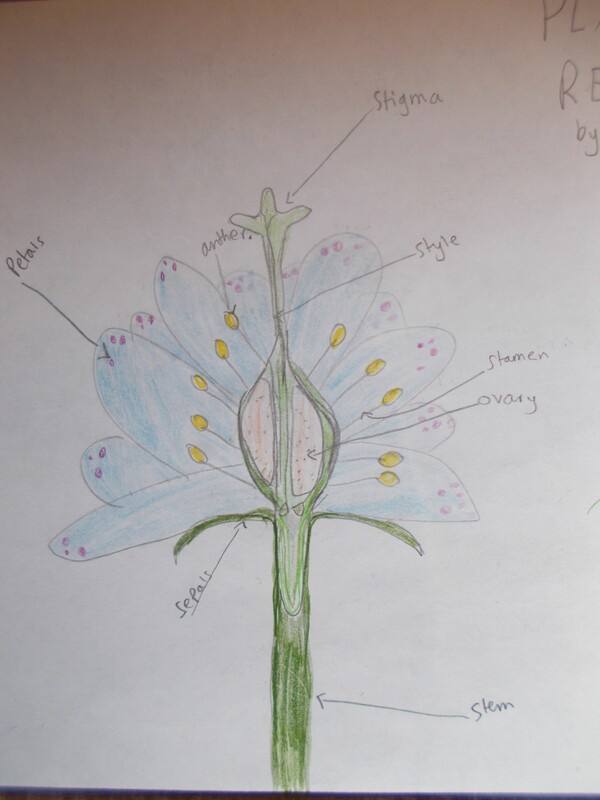 Recently I have been studying plant life as part of my science lesson. I’ve learnt about the different types of plants, plant life and plant reproduction. In plant reproduction there are four stages: pollination, fertilisation, seed dispersal and germination. In the process of fertilisation the ovary swells up and sometimes turns into a fruit. I looked at a apple and the how the seeds grow inside. 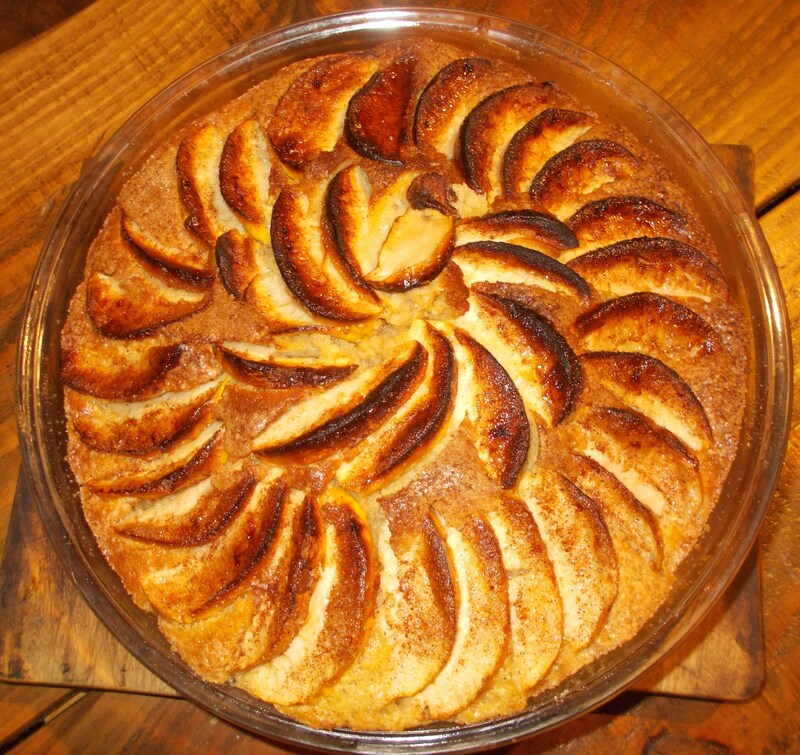 When I’d finished looking at it, I taught my sister how to make an apple cake. Here’s the recipe, don’t hesitate to make it, it is so good. 1. Preheat the oven to 200 c/ 400 f/ gas 6. Grease and line a 20 cm/ 8 inch cake tin. Put the flour, baking powder and cinnamon into a bowl. Add the sugar. Whisk the eggs , butter and milk, then stir these in too. 2. Pour the mixture into the tin, smooth the surface, then make a very shallow hollow around the edge. Slice the apples thinly. Arrange around the cake, in a spiral looks nice. Brush with butter and then scatter with sugar and cinnamon. 3. Bake for 45- 50 minutes.